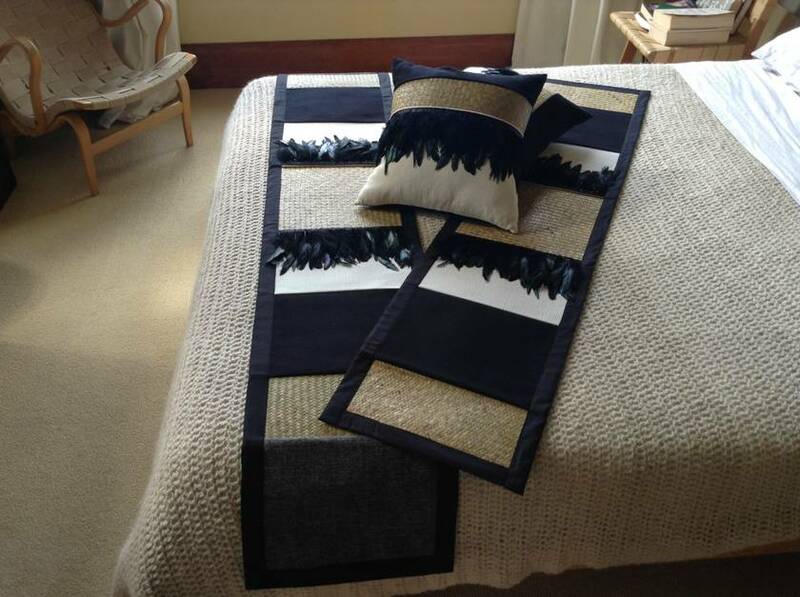 Moondance is a stylish, neutral long runner, Textured black and white fabrics with natural woven flax and black feathers. Looks stylish on a bed, table or sideboard. Available also in cushions and a medium runner.